Laila is the founder & CEO of Health Beyond Borders in Dubai. Health Beyond Borders is a bespoke Dubai based healthcare advisory firm focused on healthcare strategy and research, health investment facilitation, healthcare marketing and business development in UAE, medical tourism and facilitation, training and workshops. HBB helps clients navigate through the challenges, leverage the opportunities and bring considerable economic benefit in a sustainable and effective manner. 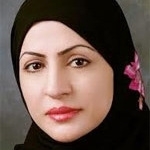 Prior to this Laila was the CEO of Health Policy and Strategy sector at Dubai Health Authority (DHA). She was responsible for the development of the policy and legislation for the health system in the Emirate of Dubai driven from the Dubai Strategic Plan (DSP). Laila had responsibility for overseeing the implementation of the DHA health strategy and conducting sector planning and forecasting, assuring that Dubai develop a world class health system, high quality public health and healthcare service provision systems. Laila has extensive knowledge of the healthcare systems, health reforms, strategic direction, planning and delivery of healthcare services in the region and in many others locations. She led the process of health reform in Dubai in 2007 which included changes to the structure and the related transitions in the role of the Department of Health & Medical Services to the Dubai Health Authority. Laila has been at the forefront of the Dubai medical tourism initiative, which was started in 2012 to place Dubai on the world health tourism map. Laila is a graduate from the College of Allied Health Science and Nursing in Kuwait University and in 2007 secured her Masters in Executive Healthcare Administration from Zayed University with honors. She is also a graduate of Sheikh Mohammed Bin Rashid leadership program 2003. She has been awarded certificates of appreciation including the Dubai Government Excellence Award (distinguish employee 2009) and the Sheikh Rashid Award for Scientific Outstanding (2008). She was also awarded the Feigenbaum Excellence Leadership Award for “Women Leaders” 2011.